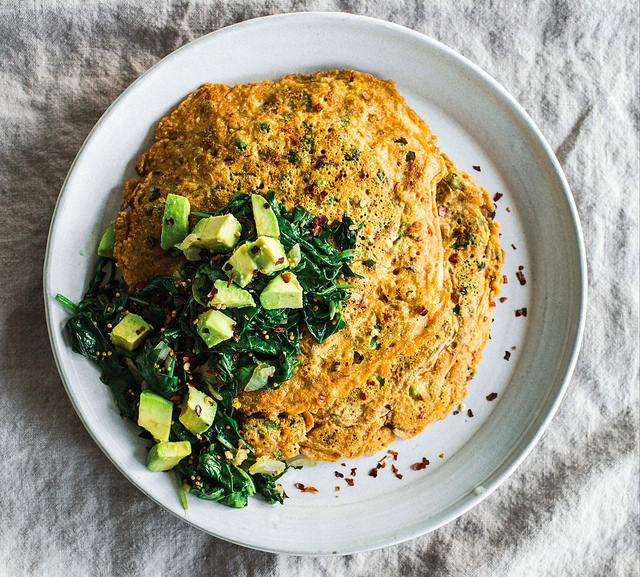 This nutritious and delicious vegan Indian recipe is courtesy of Power Plates: 100 Nutritionally balanced, one-dish vegan meals from Gena Hamshaw, author of The Full Helping blog. 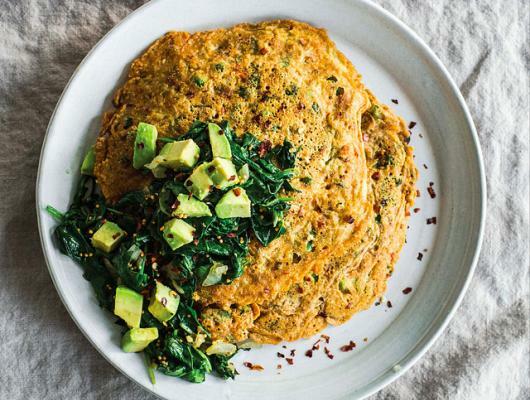 Pudla is a type of chickpea pancake (similar to the Italian version known as socca or farinata), but with tomato, peas, and fresh cilantro folded into the batter. Hamshaw's one-dish vegan version is topped with a spicy sauté of spinach, onions, and red pepper flakes. Add your favorite chutney for even more flavor!